Want to get the fast Internet experience possible on your device? Here's an app made to deliver the good stuff! Speedify is a new kind of VPN app that lets you combine Wi-Fi and a 3G/4G data connection to obtain a fast, unbreakable Internet connection no matter what. The application can intelligently give you seamless Internet as you go about your day, and a welcome speed boost in times when you really need it. Coming with 1GB of free traffic every month, Speedify bonds your Wi-Fi and mobile data networks at just the tap of a button, letting you enjoy blazing-fast HD video streaming, uploads, downloads, and web browsing. The seamless hand-off between different networks makes sure that your music, podcasts, videos, and other streaming media don't spontaneously lose connectivity. The app developers provide access to Speedify's global network of speed servers across five continents, and made the app easy to use, with a novel interface. Examples of using Speedify include combining all of your internet connections under one IP address, splitting a Netflix stream between two Internet connections for a higher resolution and faster buffering, and navigating firewalls without fiddling with port forwarding. 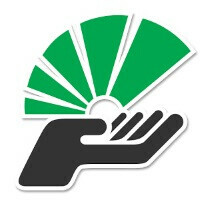 Although Speedify can be tried for free, it has a subscription payment system. Your payments are charged to your Google Play account when your monthly or yearly plan renews. If this is like wifi assist, never use this unless you have unlimited data. T-Mobile and VZW phones already have what they call Wifi Booster. You can set the limit of file size, so that the boost isn't even used at all unless it meets your preset requirements. For example, I have mine set to use WiFi Booster only when I am downloading a file that is 20MB or larger. That way it never kicks in while browsing, only when I download large files. Also, no this isnt like Apple's WiFi Assist. What WiFi Assist does is, if your WiFI signal becomes unstable, it is designed to switch you back to your carrier signal and vice versa. Not even remotely the same. Thought you would know this, since you'r such a Apple person. I thought the WIfiBooster was a Samsung feature made available with the Galaxy S5? no? They have copied Samsung's Download Booster ? Or you could just turn it off if you're viewing videos, etc. Alex from Connectify here. Thanks for asking, nope, Speedify is nothing like Wifi Assist. This is totally cost aware: if the Wi-Fi stops working, it smoothly moves you over to mobile, but doesn't turn off your wifi. It keeps checking for working Wi-Fi and moves you back the moment it starts working. It also lets you set Daily limits on your mobile data usage, so it can warn you if you're blowing through data faster than you want to. Hope that helps. I tried it once and was really good, sadly I don't have unlimited data. Thanks, Alex from Connectify here. Samsung's downloadbooster is a download manager. It only kicks in for large files that get downloaded in the background. It doesn't help other apps or web browsing. Speedify on the other hand, runs in the background and can help every app on your phone. It's also cost-aware... you can give it hints about how much data it's allowed to actually use. If the Wifi is good enough, it'll just use that, and not use your data. Sorry I got it wrong than if it works with large files only. This slowed my Internet instead of packing a punch.